It looks like Christmas threw up in our tiny condo. But, in all honestly, that's exactly the way we like it this time of the year. And, since we're kind of on a budget, we have the dollar store to thank for most of it. Their selection of festive decor around this time of the year is unbelievable and seems to get better every year. Who doesn't love the dollar store?! 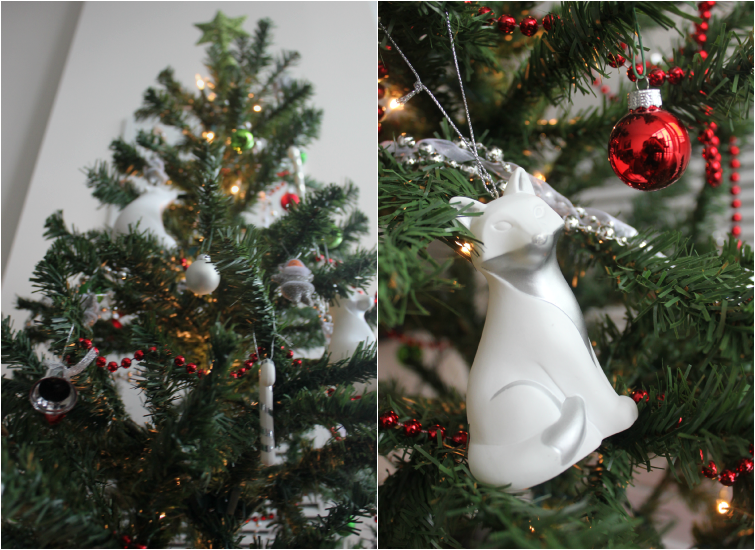 Above: Fox, owl and polar bear ornaments from Target. 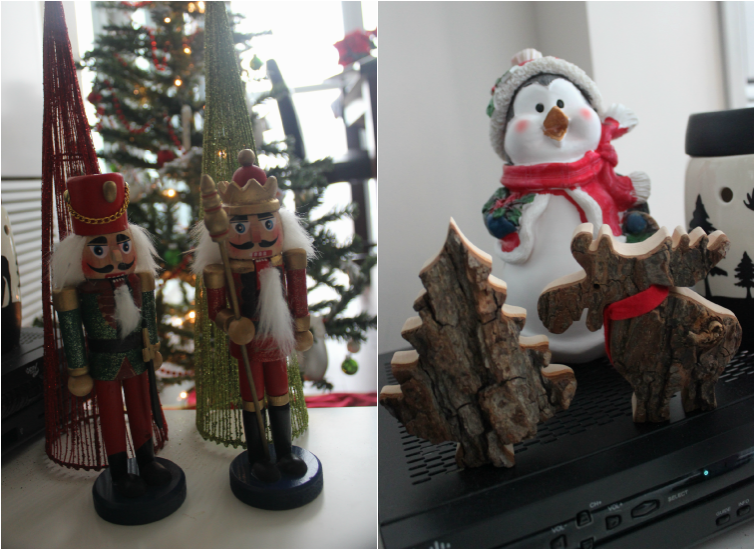 Handmade moose and tree wooden decor from Toronto Christmas Market. All other decor from the dollar store. 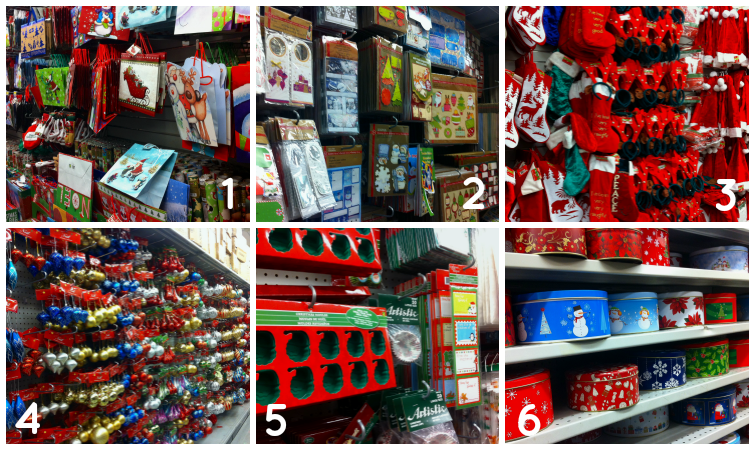 Where do you shop for Christmas decor and gifts? I totally agree! My mom actually came to my house last weekend and she said she loved the ribbon and the silver balls on my tree. I was like, DOLLAR STORE...CAN YOU BELIEVE THAT? There are no dollar stores (or, uh, euro stores I guess...) here in France, at least none near us, so our first christma here we made a ton of salt dough ornaments, using star wars cookie cutters...they're still my faves on the tree, despite the fact that we've picked up a bunch at Christmas markets.